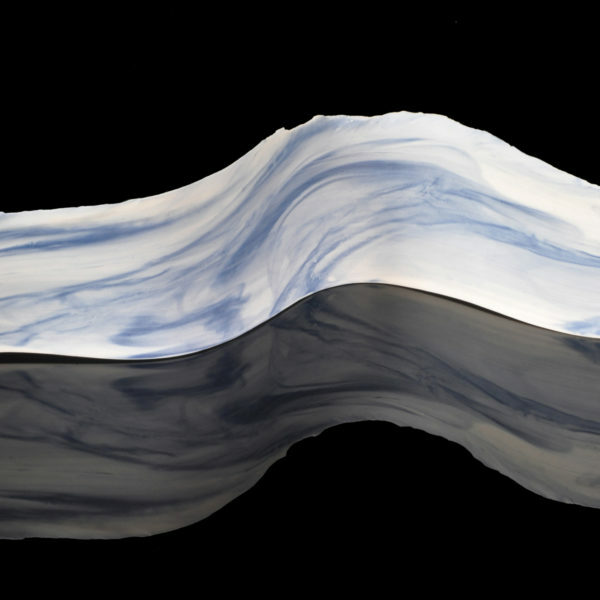 Karen is a ceramic artist who works with porcelain to create flowing abstract sculptures. 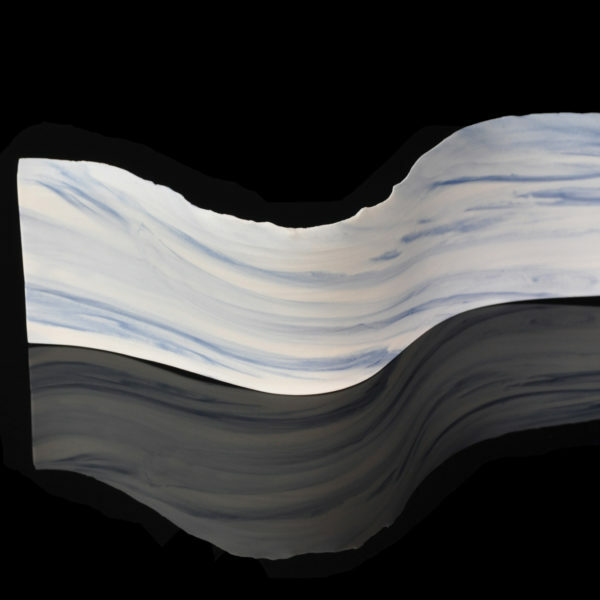 Her inspiration comes from the coast and the constantly moving lines of colour in the water, which can be calm or full of energy and drama. Karen’s work is wheel thrown and then reshaped while still damp to capture and retain a sense of movement, energy and vitality. 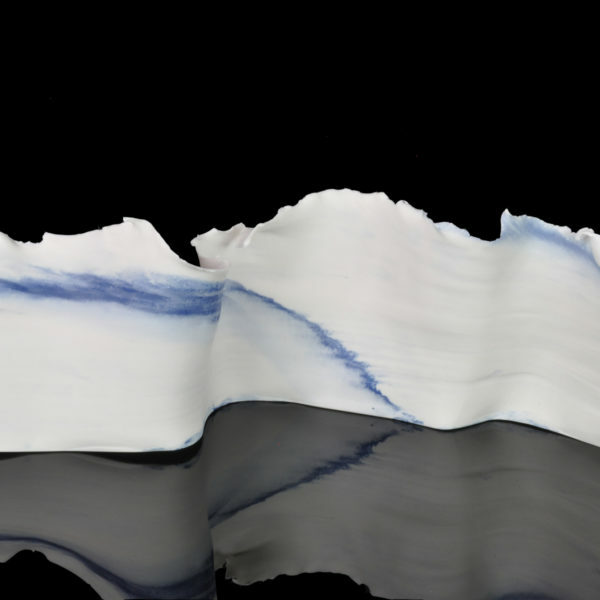 She has also recently used her coloured and white porcelain to throw pots, enjoying the random and sometimes surprising results. 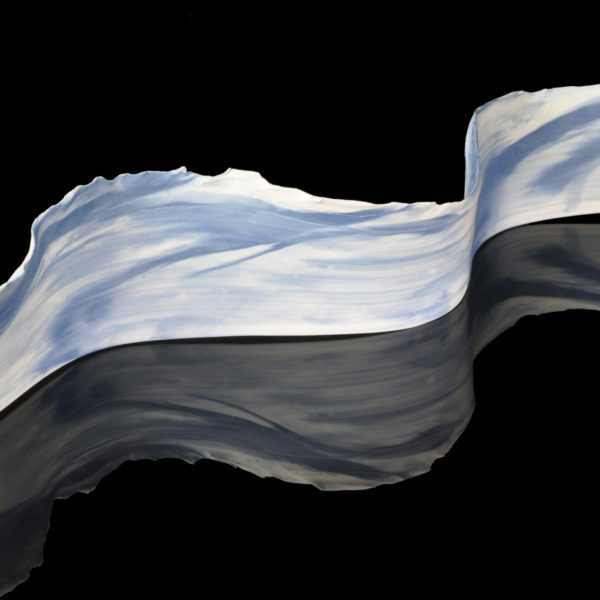 Karen’s inspiration comes from the coast and the constantly moving lines of colour in the water, which can be calm or full of energy and drama. Having worked in London, she feels that time at the coast provides an opportunity to breathe and relax. 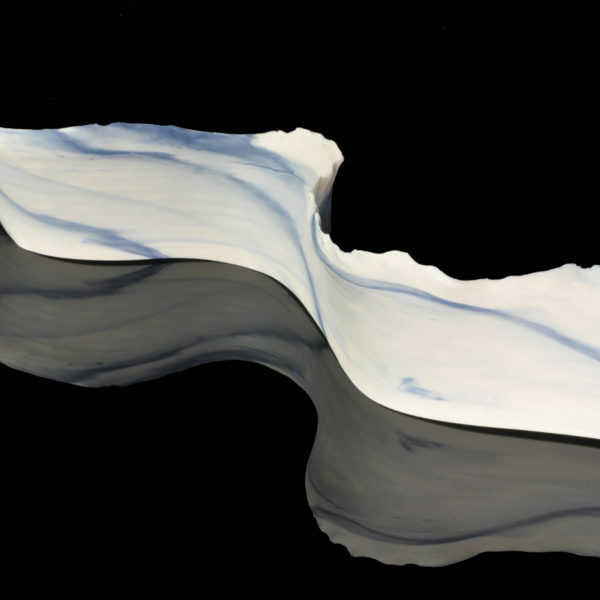 Her work is intended to be tactile and to evoke some of the emotions and memories from time spent at the coast. 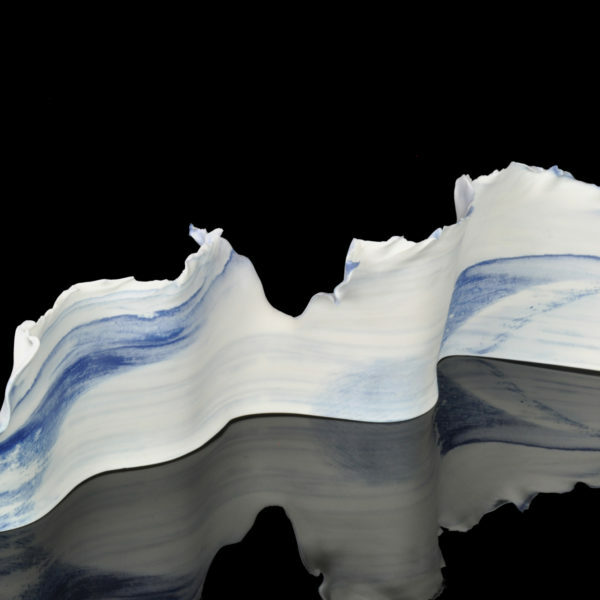 Karen loves the process of throwing and loves working with porcelain. 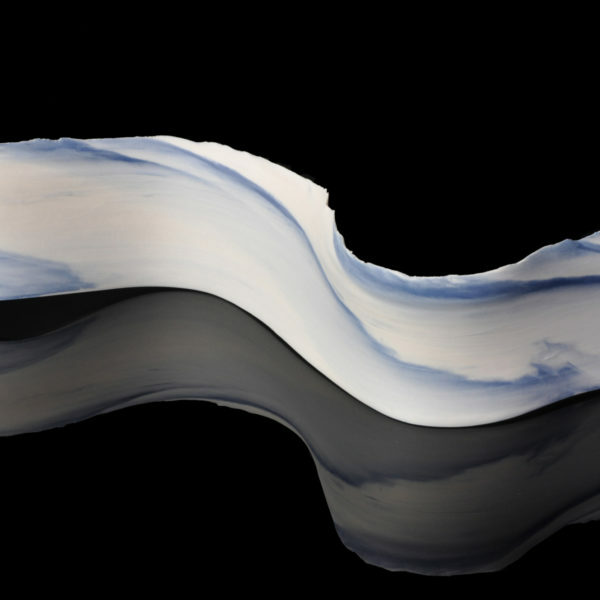 She has recently started adding oxides and stains to the clay to produce a range of colours which she combines with the white porcelain. 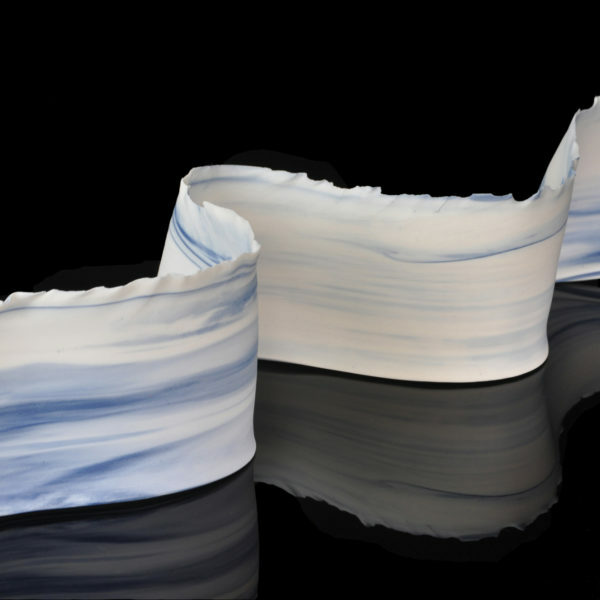 Karen studied Ceramics at the University for the Creative Arts in Farnham, Surrey, graduating in 2014. 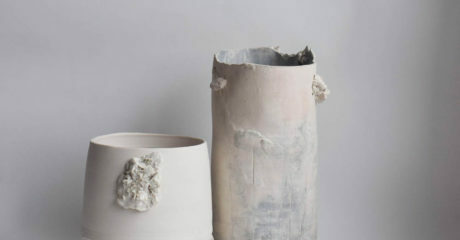 She is currently the Ceramics Artist in Residence at South Hill Park Arts Centre in Bracknell, where she teaches adult classes and also holds workshops for adults and children. 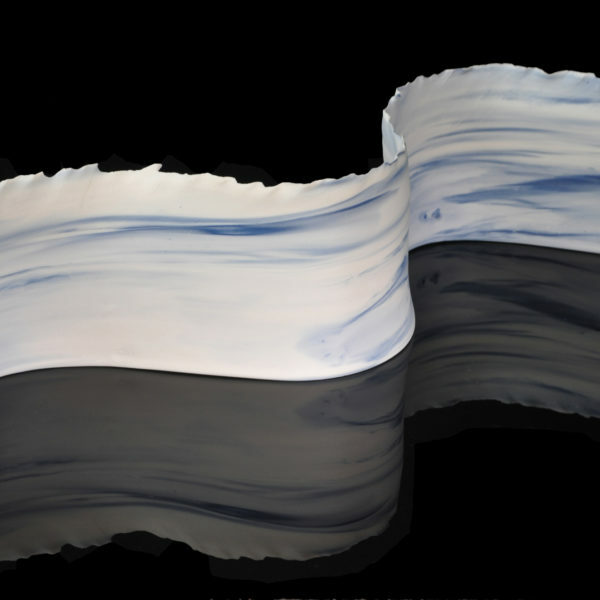 She is a member of West Forest Potters and London Potters and an Associate Member of the Craft Potters Association.